Lattice multiplication is a simple technique that breaks long multiplication process into smaller steps. 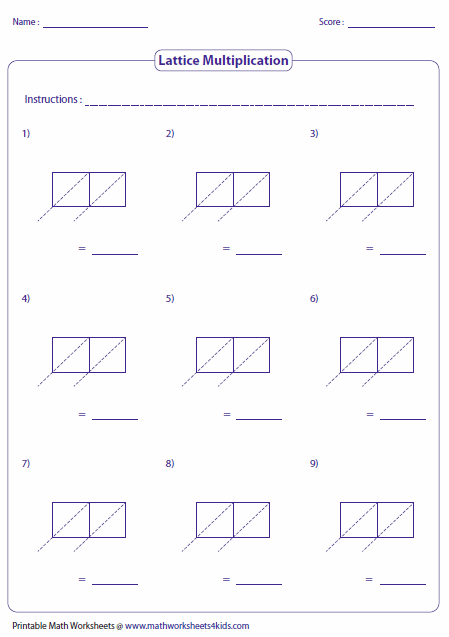 This page includes worksheets on multiplying numbers from single digit to four digit in different combinations. 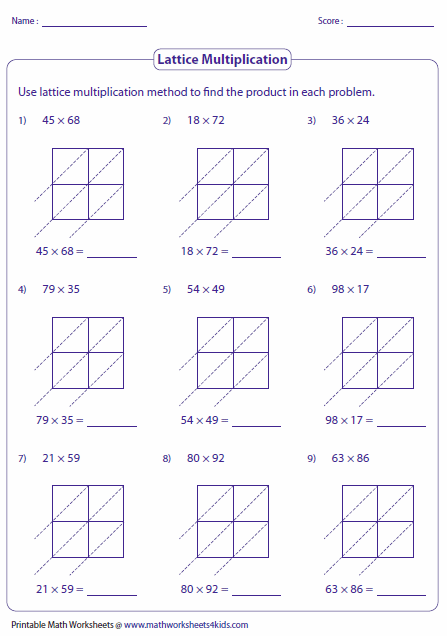 Lattice multiplication grids (templates) are also included for teachers and homeschool moms. Multiply 2-digit with single-digit using lattice multiplication. 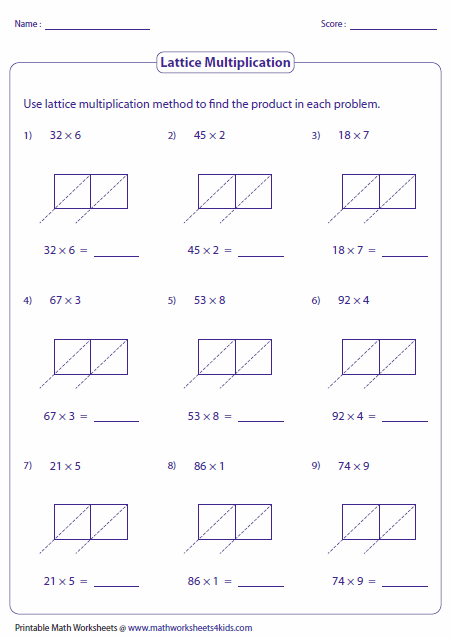 Use lattice multiplication to multiply 2-digit multiplicands. 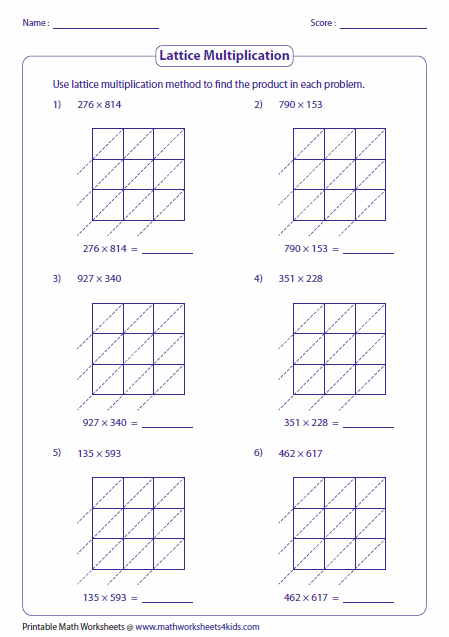 Apply lattice method to multiply 3-digit and 2-digit using 2 x 3 grids. Use lattice method to multiply 3-digit multiplicands. 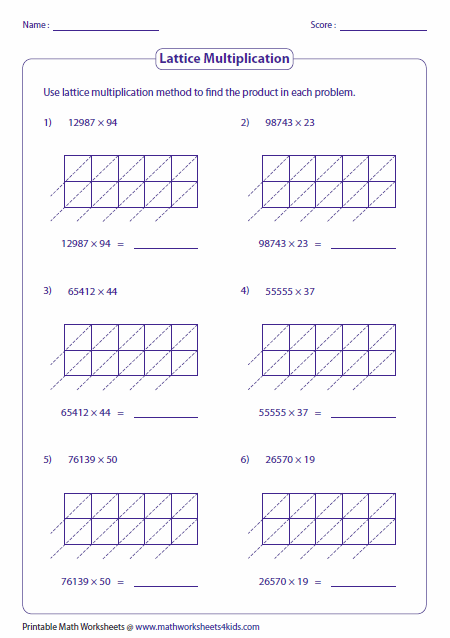 The worksheets consists of lattice multiplication on 4-digit by 2-digit, 4-digit by 3-digit and 4-digit by 4-digit. 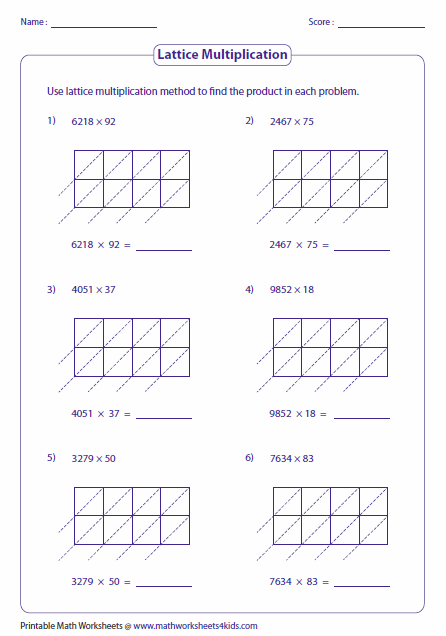 Exercises in these worksheets have multiplication problems on 5-digit with 2 or 3 digit multiplicands. 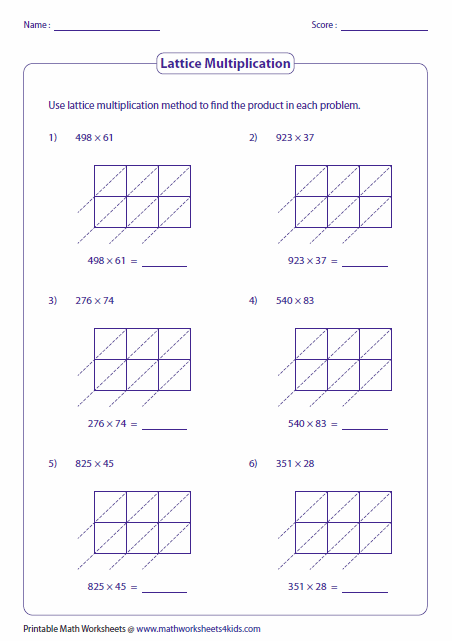 Lattice multiplication templates help teachers, homeschooling moms and tutors to create their own worksheets. The lattice grids are available in different sizes. Choose, download, set your own questions and assign them to the kids.